The Organic Fruit Gift Basket offers a medley of fruit, expertly tended, cultivated with care, and picked at the peak of ripeness. Sourced from small growers who maintain the same rigorous standards as we apply to our own orchards, the selection of fruit in each basket may vary according to availability. 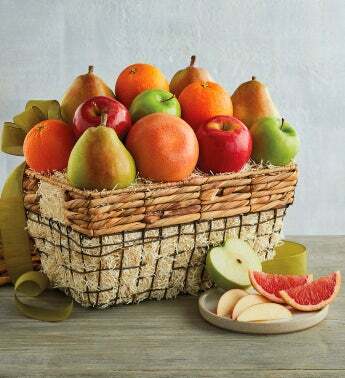 The fruit in this gift is grown, harvested, and packed in accordance with the USDA National Organic Program, ensuring that you receive only the finest and freshest fruit.